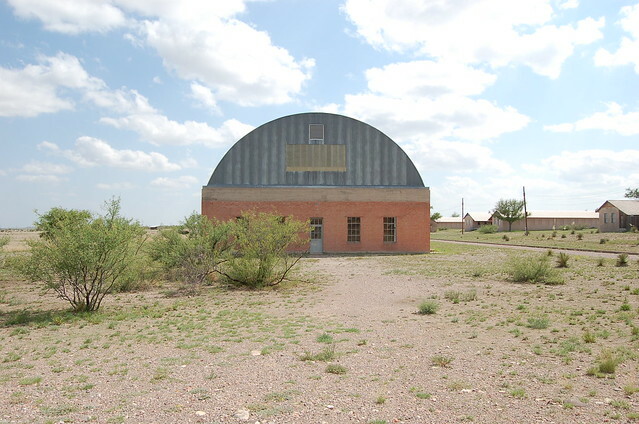 The Chinati Foundation, founded by Donald Judd, was once an army barrack and cavalry post, Fort Russell. 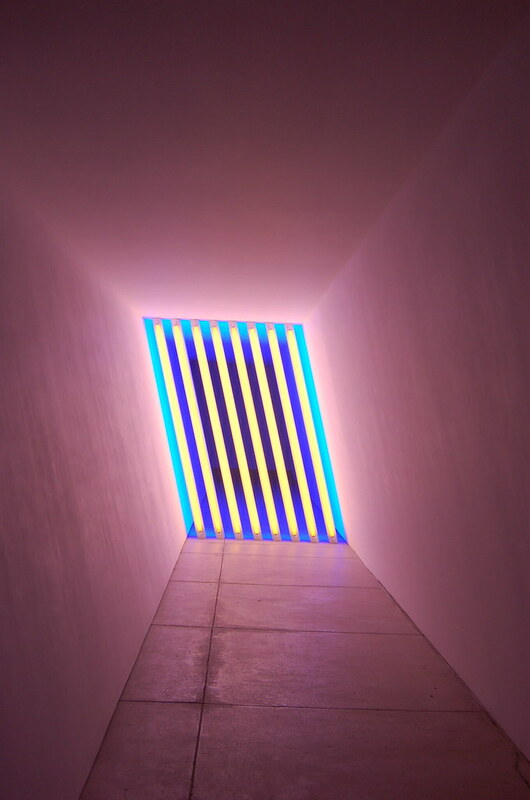 The army base closed and abandoned, Judd bought the land in the 70s to create a home for site specific work for himself, Dan Flavin, and John Chamberlain. 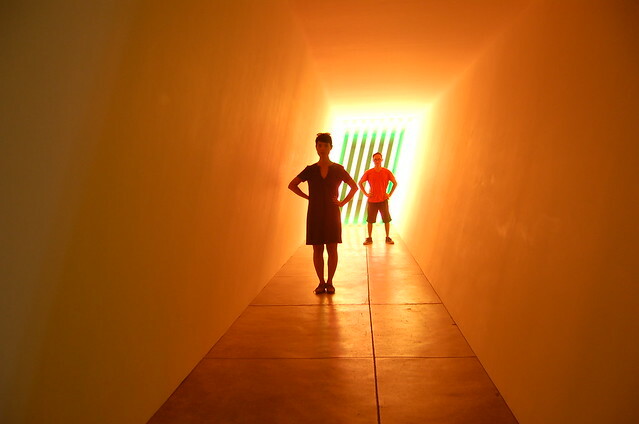 The land, the site itself becomes part of the art, not just host to it. 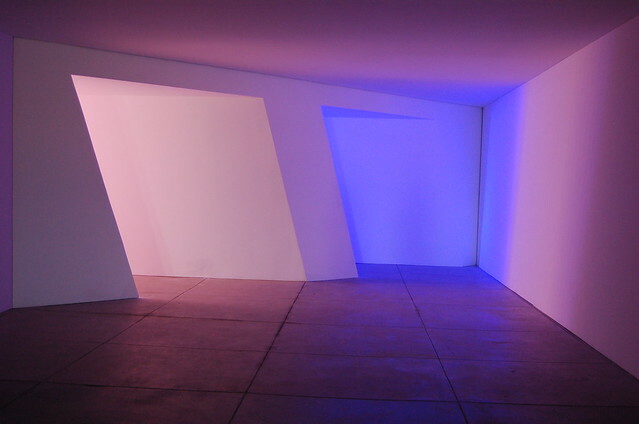 Dan Flavin’s exhibition is inside 6 separate, renovated structures, once the sleeping quarters of soldiers. 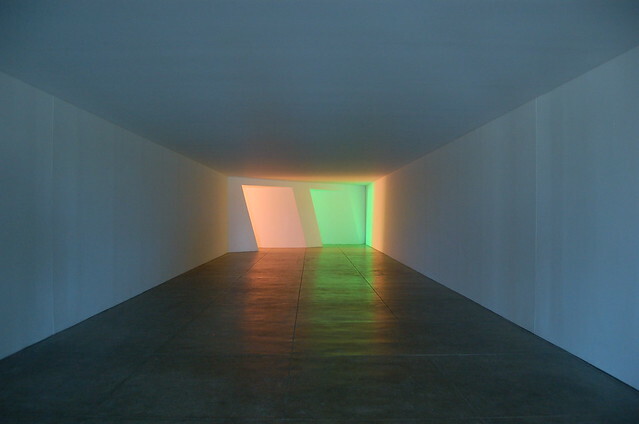 U-shaped, you walk down a long, wide corridor, heading towards a soft, colored light. 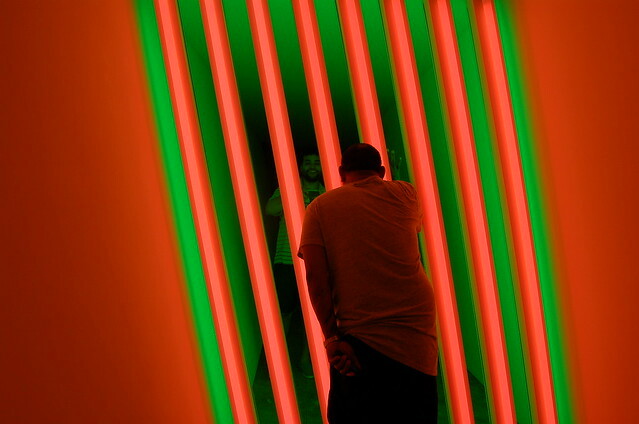 As you get close and turn into the bottom of the “U”, you see Dan Flavin’s lights. 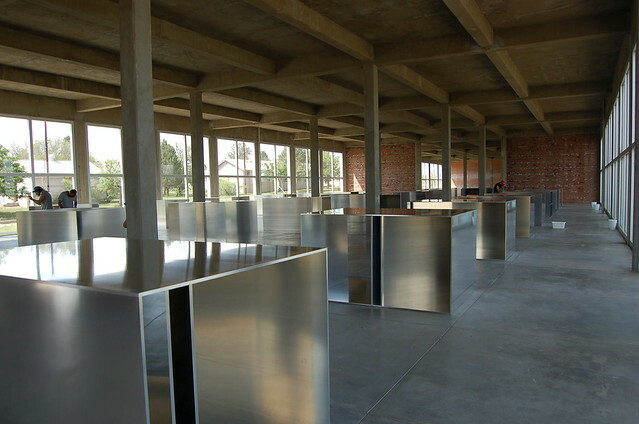 In an airy, huge brick structure with a dome shaped roof is Donald Judd’s 100 milled-aluminum milled boxes. 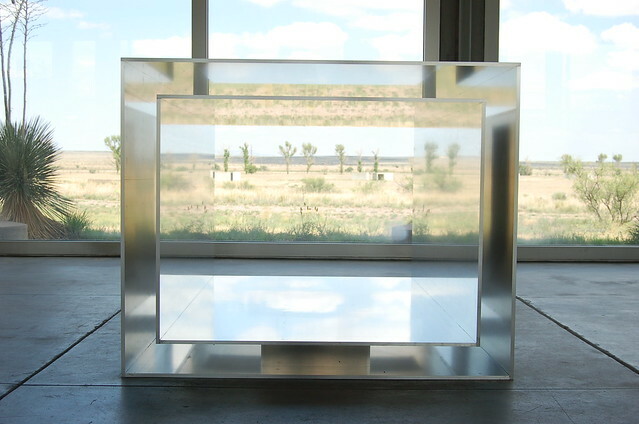 All of them distinguish themselves with slightly different angles, reflecting different parts of the outside sky and surroundings. 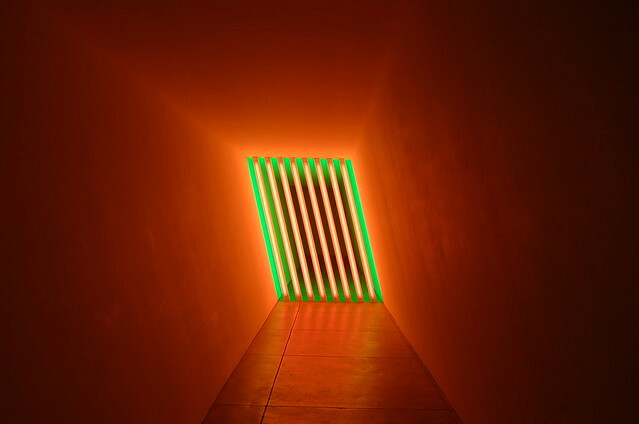 Your eyes don’t fully adjust as you try to make sense of the shapes and what you are seeing… an optical illusion at times, not knowing what is being seen is real or a reflection of the light bouncing off the different sides of the boxes. 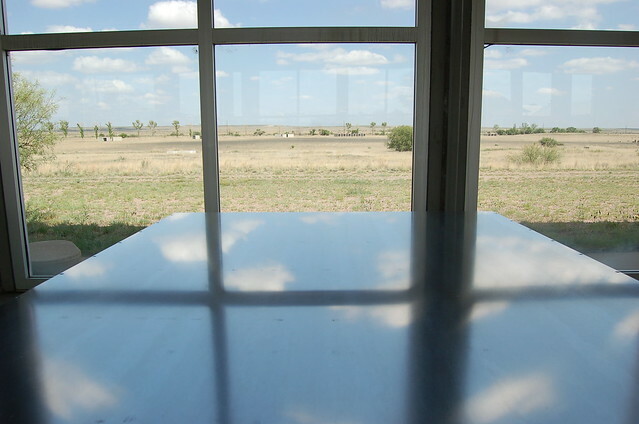 A must visit when in Marfa… Chinati Foundation.